Melt completely over low heat. In a microwave safe bowl combine chocolate chips and peanut butter. 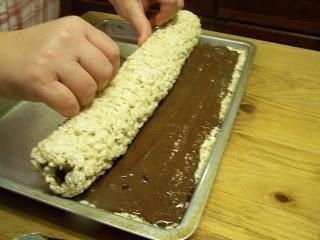 Sprinkle the roll with seasonal sprinkles if desired.